First the product. CEO Ron Williams calls this, “Designer nutrition.” It’s formulated with peer reviewed ingredients that are known in the industry to be effective. What makes this product unique, is how the combination and amount of those ingredients is compiled based off our individual DNA. The information in our DNA that contributes to those ingredients by revealing something in our genes called a single nucleotide polymorphism, or SNiPs for short. These are variations in our genetic code, passed down from our parents. SNiPs can occur once in every 300 nucleotides and some of these variations can affect the quality of our health. If we have SNiPs, there are certain vitamins, herbs and minerals we can be taking to counteract the negative effects of our genes not expressing themselves properly. This was absolutely fascinating to learn. This is where things get really cool, and why I have become a fan of Uforia. You get a DNA kit and collect your DNA to send to their HIPAA certified lab, they take your DNA results and produce a one-of-a-kind customized nutritional formula for you. All based on your DNA. Some companies test your DNA and tell you what you should be eating or supplementing your diet with. Some companies put a bunch of third party vitamins in a box and ship them off to you. You’re basically taking a few of the Acme Vitamin Company’s Vitamin C, and maybe a few B Complex. However, it’s many different pills that all adds up to a lot of guesswork and money. Üforia actually creates a supplement specifically designed for you. With over 70 high quality, peer reviewed, plant-based ingredients, plus vitamins and minerals all packaged within one supplement form. This is not “just what the doctor ordered,” it’s what your DNA has ordered. So my formula is completely different from my wife. Before you watch the video below here’s a few things that you should know. Uforia Science is a new and revolutionary nutritional supplement company started by Ron Williams. The premise is that a nutritional supplement should NOT be a one-size fits all concept but should be custom fit to each of our unique individual nutritional needs. These very special formulas are accomplished by using your very own and unique DNA. Because each of us are very different from one another, not one supplement will be the same. If this concept intrigues you, the below video will explain more! I have been using Uforia for about 2 months now, and from the experience I have had so far I must say I am a fan of it. 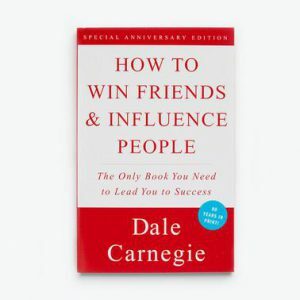 A friend recommend it to me knowing that I am in the health industry and value my health, along with others. So I decided to do some research and see if it was going to be a good fit. I have to say I really like it, and I am impressed by the way they created my supplements for me. Honestly I was taking PQQ and CoQ10 before signup to Uforia and with just those two supplements alone cost me around $100. I was glad to see both of those were in the ingredients to make my personalized supplements, along with a variety of other great vitamins and minerals and the best part is they come directly to me now. I have to say for only 159.00 to get the supplements provided to my door is definitely a deal worth taking to me. 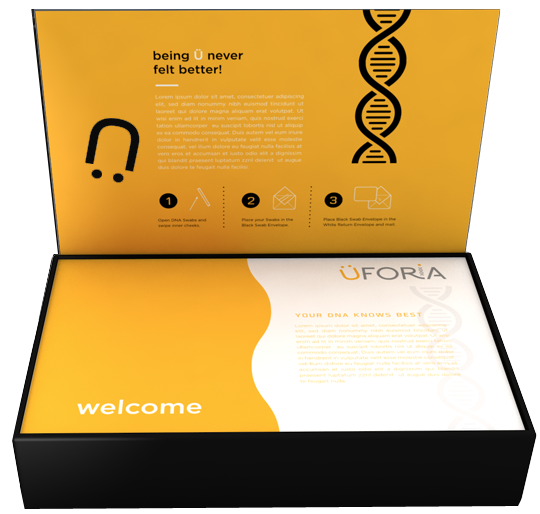 ÜFORIA™ is the one and only company to offer personalized designer ÜTRITION created specifically foryou, based upon your DNA profile. The DNA Test unlocks the secrets to your “Actionable Genes” and their influence on your body. Decades in the making – this is Exclusive and Proprietary software and technology. Uforia also has ways of paying you if you decide to become a member. The membership fee is 39.95 annually, and I will link a video below to explain the plan to you. I will say that you get to decide why you want to be a part of this company, and if you are looking for a source of income the options is available for you with Uforia. With that being said please do not be that MLM person who finds every friend and family member to talk their ear off about a product, so that you can build your compensation plan. You can choose how you do it, and if you join my team I will show you the right way to do it. Great products sell themselves, but if someone is not interested no point in trying to force them to be interested. There is a way to go about it. Also I cannot stress this enough, if you are looking to make a ton of money you will have to do a lot of networking. Can it happen absolutely but you get 5 and they get 5 and that group gets 5. It does not work that way. I cannot in my heart send people false dreams, so I felt that was important to mention. A solid leader can have a solid team and do very well. Just don’t delude yourself into believing you will get a team and will not have to do anything because they are doing it. We create the reality we want in life. Be honest with yourself and know the effort you will have to take to get where you want to go. Also, if you sign up as a member you will be a part of my team and we can take this journey together. Also, if you have any questions that you feel have not been answered please leave them in the comment section below, and I will get back to you. Hope you like the opportunity that Uforia has to offer. Have a blessed day! Before reading this article I had no clue about what is Uforia Nutrition. I learned about it in this article. This article explained everything so organized and in neat way so that I could understand in easily. Now I know the exact purpose of Uforia Nutrition and what I can get from this. Glad you liked it and know more about Uforia too. It’s good to know one can have supplements prepared specifically for your body. It’s like buying a custom made suit. I think this a really good product cos it’s really made just for you. However I do have some questions, how long does it take before your personal supplements is created? Wouldn’t this program be a tad too expensive? Yes so you get a DNA Kit and a pre nutritional supplement to detox the body. Which is a total of 259.00 You get that relatively quickly usually 7 days or less. After you do you DNA test you send it back, and get you specifically created supplements in less than a month. Your regular monthly fee is 159.00 and if you ever have to cancel or stop a payment those options are available. Hopefully that clarifies it for you. If you have any other questions please feel free to ask. I was expecting a little more about the product instead I was getting more info about the MLM opportunity. I must say that was an honest explanation about MLM that indeed you need to put the work in to build a solid team with you can create some great income. I work also with an MLM company and know how is works. However, as I am in the health business for many years and having a health blog with also an article about DNA base products I was hoping on more info. However, you got me interested in this product and will for sure check it out more. Yes I appreciate your input, and will revise my article to explain more about the health formula of the product. Thanks for making a review on uforia nutrition, this is actually the first time I’m hearing about this, I would say after reading this review it changed my perspective on health, imagine getting treatment based on your DNA, nothing could be better than this health wise, I love this program and I’m going to give it a try. Is it also available for Africans? We are currently in United States and Canada, hopefully we expand to other countries soon though. Hey! Thank you for reviewing Uforia! There is a super cool concept backing this product. DNA testing and receiving a customized nutritional formula. I had never thought we would arrive there. But were already here! Wao! And getting the supplement to our house’s door is also a huge benefit. An the price is affordable. I also appreciate you are not giving hyped promises concerning earnings with this product. It takes hard work and leadership to build a consistent team. I have a question: How many generations are in the down-line with Uforia? Thanks Henry, yes I believe it is smarter to be as honest as possible with people. Life is about creating win-win situations. There is only 2 others above me the C.E.O. and his guy underneath. I was luck to get involved on the pre launch. An informative and helpful review! I agreed that nutritional supplement should be custom fit to our unique nutritional needs. I am impress that Utoria prescribe these supplements based on our DNA need or called “Designer nutrition”. Definitely, I will give it a try. I have watched the Compensation Plan video and seems like a good opportunity to earn some money. l will joining your team as soon as possible. Thank you again for introducing Uforia to me. Glad to hear it Shui, would love to have you aboard. This is an exiting concept. Designer supplements for a reasonable price is something I could get on board with. Your review made it seem like this product really works. Since each person gets their own supplements, I doubt this would be approved by the FDA. Does it use only FDA approved ingredients? Yes it used FDA compliant meaning Uforia follows all the FDA guidelines, thank you for commenting. Thank you for sharing ¨Uforia Nutrition Review-What Is Uforia ¨Personally, my doctor has recommended me to take a multivitamin daily, and I do spend money on additional supplements because I don´t believe the multivitamins is really enough or know that my body Is doing anything with it.I don´t like that I don´t where it´s coming from – does all of it come from my DNA or is it supplemented with something else or food? I would be more interested to know more about the ingredients and how much of it goes into the supplement itself, so for me it seems I´d do the test and get the first month at least to see what the company can come up with. Is it FDA-approved or sanctioned? Yes if you would like to try it my link is on the bottom of this blog. Also the supplements used are FDA compliant too. Wow! 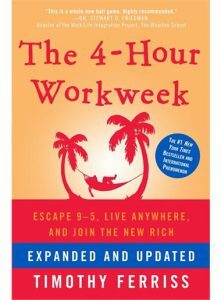 What a great review – this is something that is very interesting. I didn’t even know you could send away your DNA for a nutritional profile. I am however a bit sceptical about how accurate this would be… Does it recommend for example what amount of carbs and fats etc we should eat? Or is it just vitamins and minerals? Hello Stephen, uforia only focuses on vitamins and minerals. For carb, fats, and proteins you can go to a nutritionist who directly creates a plan for your macros. Hope this answers your question, and if you any others please feel free to ask. 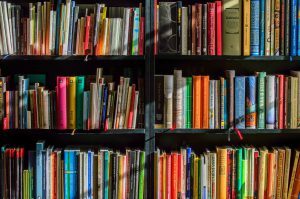 I must say that this article is very interesting and helpful. I have not heard about Uforia so far but now when I read about it I wish I could get one. I am a vegan and this being vegan-free is a great solution for me. I just have to ask can I use it although I am not in the US? Hello Daniel, I know it is available in Canada right now. As for other countries, keep an eye out. I see this company expanding very rapidly. I have never heard of uforia and more it a supplements that are so useful in our day to day Life let me say I thinking of uforia as one way of stay healthy especially with kind of lives we live we need supplements that are DNA modified so they get into the system faster and better. Yes I agree Charles, I believe this is going to be the way of the future. Cannot wait to see how big this gets! I must commend you on putting up this lovely review on Uforia nutrition. I haven’t heard or read about uforia before but your post has enlightened me the more. This must be a very lovely product. I will revisit your blog to know more about products i dont have ideas about. Thanks for reading it Ola, and if you have any questions please feel free to ask. Thank you for this helpful review Clifford, i am quite glad that i got to see this today. I see that the information gotten from SNiPs are used for generating personalised nutritional formula for tested individuals, am i correct? This should offer specific nutritional needs then. This is relatively new to me, it was an interesting read though. Hope to come around some other time. Yes Festus you are correct. This product is revolutionary and glad I was able to get on board early. This a very thorough and in-depth review post. Thank you for taking the time to do this and you left no stone up-turned in explaining it completely. Really amazed when I read the nutrition supplement is prepared by testing our DNA. One-of-a-kind customized nutritional formula is mind-blowing and sounds great. You have given me plenty to think about here. This review is so thorough it opened my eyes to all sorts of information I wasn’t aware of! And after reading your post I just have one option… Its to try UFORIA Nutrition. The videos you embedded is very helpful. Thank you Paul, love to have you on! I have a feeling this product is going to do some very big things soon! Sports nutrition is something that has always been of interest to me. Being a very active sports person, your body is only able to withstand the rigors of intest sport with the assistance of the appropriate nutrition. Is this product aimed at body building or high intensity sport? I see that it is specifically formulated to your DNA but it would be great to know at what segment this product is aimed at. Hello Richard, it is focused for overall health. Depending on your bodybuilding and weightlifting needs I can recommend products that would work best for that. This is a rare information. I don’t think I have ever come across a customized diet. I think uforia is really making much name for themselves. When I raise some money, I will like to check out on uforia and get my DNA suitable for my customized diet. It’s just that I don’t think this could be found in my city. Awesome Kenechi, would love to have you on board. Just to be sure you know it is not for food, but it is for supplements. It’s good news to know that there is a company out there that offers individualized nutrition created for client within their own unique DNA profile, in fact this would go a long way to prevent any side effect of such product in a client’s body. I would love to know if there have the ”About Us”, page on their website, I checked but couldn’t find it, I want to know more about them. Yes what information were you looking for exactly? I will send any link you need that can go into more detail for you to clarify things. A tailored DNA-based nutritional review? Now that is taking tailor-made to another level. I think I’d pay the money for the lovely looking packaging alone. But seriously, based on what you are getting I think the price represents very good value for money. I’d be interested to see my own results. Thank you for an interesting article. Glad you liked it Rob. If you would like more information, please let me know.